Does the Wisconsin Parole Commission have an invested financial interest by not paroling parole eligible prisoners? In response to the November 30, 2014 article in the Milwaukee Journal Sentinel, there are hundreds of Ramiah Whiteside's in Wisconsin's (US) prisons. 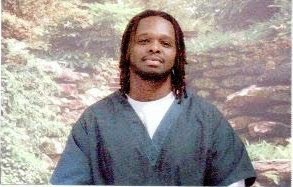 In my 16 1/2 years of incarceration for a crime I did not commit, I've seen many guys under T-I-S get 10 years for homicides. While under old (parole) law 40 years was the norm with the expectation of getting out some-where soon after the first parole eligibility date which is 10 years or 25% on a 40 year sentence. In August 1981, the then parole chairmen, Fred W. Hinckle made a report on parole. The subject was: Parolability Range. This report detailed not an exact date of when a parole eligible prisoner would be released, but rather the range of time to expect to be released on a given amount of time. According to an October 19, 1984 report on the Parolability Range, three ranges are given. Low. mid and upper. Low for a 20 year sentence was 5 years, 2 months. That would be 2 months after serving 25% of the 20 years. No one was getting 36 or 48 mouth defers. Mid was 6 years, 8 months, Upper was 8 years, 3 months. No one did close to M.R. So in Whiteside's case of 47 years he should have been released soon after he served 25% or 11 years, 8 months of his sentence as long as he had a "satisfactory" record. However, no one is being released under old (parole) law. The question is why? There are a couple of links to the answer. 1. In Wisconsin, parole is discretionary or at the will of a parole board member judging the prisoner from a 30 minute meeting based on unfavorable documents in the prisoner's file. Thus parole becomes a system of how the parole board member feels on any given day or how the member feels about a particular individual or crime, in whether to grant parole release or not. No one should be given that much power or discretion. Not even a judge has that much discretion. 2. The parole commission has an invested financial interest in not paroling parole eligible prisoners. Like Whiteside, my first parole eligibility was at about 12 years. However, it has been increased to at least 181/2 years due to getting a 24 month defer on November 20, 2014 at my last parole hearing. My first defer was 48 months. Thus is a total of 6 more years in prison only because parole is at the will of a parole board member. Now this is where the financial interest comes in at. Remember, the mass majority of Wis­consin's 22,000 prisoners are under T-I-S. Only 2,700 are under old (parole) law. So by con­tinuously 'deferring' old (parole) law prisoners’ sentence 4, 6, 10 or even 20 years past 25%, the parole board members are giving themselves job security. In my case, by giving me a 24 month defer, parole board member Emily Davidson, gave herself 2 years of job security. This is an illegal and immoral invested financial interest. Because I. like most old (parole) law prisoners, am not a troublemaker. I. too, am a mentor to the youth. I participated in every program that I could. And was a part of the Brick program talking to trouble youth. But none of our real qualities matter when the parole board has an invested financial interest in prisoners. Remember, prisoners released onto parole went from 1,146 in 2005 to 152 in 2013. It's only 2,700 old (parole) law prisoners left and once they are out of the system, the parole board mashers will have to find new employment. So they keep deferring us for as long as they can with no real justification. Because in the 1980's doing close to 25% was just fine. and out of these 2,700, not all are even parole eligible. However, the ones that are must be paroled . So the matter may be a little about the crimes we committed, were accused of or the person we once were. But we've served sufficient time for punishment when we reached 25% of our sentences. To still have parole discretionary or at the will of one person that reads a file and determines to defer release 'consideration' for 24, 36 or 48 months from a 30 minute meeting, is arbitrary, especially when nothing logical in the file can prove sufficient time has not been served. Or release would involve an unreasonable risk to the public. The only way sufficient time isn't served is if the prisoner petitions to see the parole board before reaching 25% of their sentence. If we can have a hearing at 25%, then 25% must be sufficient time served for punishment. When I got my parole paperwork back, it stated, "You have NOT served sufficient time for punishment" and "Release at this time would involve an unreasonable risk to the public" as reasons to deny release on parole. But nothing in my file or anything said can prove that. Prisoners have filed many lawsuits about the denial of parole and courts have continuously sided with the 'language' of how the parole board is denying release. Stating, "Wisconsin's prisoners do not have an invested liberty interest in parole because in Wisconsin parole is discretionary." Parole being at the discretion of people with a monetary interest in my incarceration is the problem. The solution is to make parole release mandatory at 25% plus a 'satisfactory' prison record. And in this, I've seen how what is 'satisfactory' will change to fit the parole board’s agenda in order to deny release. The language of "Release at this time would involve an unreasonable risk to the public" is arbitrary, capricious and oppressive. Especially, with no real evidence of what makes my, Whiteside's or any other old (parole) law prisoner's, release an unreasonable risk to the public. To have no recourse in parole denial or for Wisconsin's courts to say Wisconsin's prisoners have no invested liberty interest in parole because it's discretionary means the laws must be changed. Because being a prisoner in Wisconsin does not take away my (our) US constitu­tional inalienable rights to life, liberty and the pursuit of happiness - once I've reached the minimum 25% of my sentence.